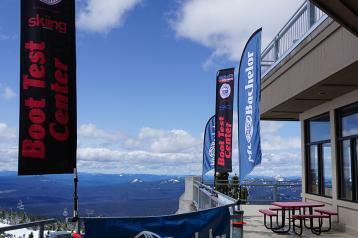 Understanding Last Width: Skiers' understanding about "last width" varies widely. Don't let us insult your intelligence, but here's a primer from start to finish. First, manufacturers have almost all committed to using a metric measurement (millimeters) of the widest part of a size 26/26.5 boot shell's interior to determine "last width." Kind of like using flex-index numbers to say, stiff, medium or soft, last width numbers are used as stand-ins for narrow, medium and wide. 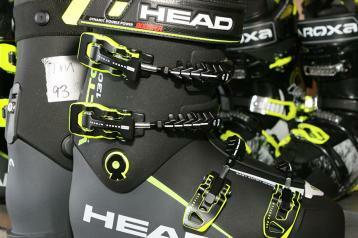 Some skiers' foot shapes make those decisions obvious, while other feet can be either more or less tolerant of compression, or fit tension, and so skiers may trend away from what their foot shapes might suggest, toward narrower boots for their more snug fit or wider boots to avoid chronic numbness and promote warmth. Let's do the numbers--narrows fall into a range between 96 and 98 mm. Medium lasts are considered 99-101 mm. Boots are considered wide at 102 mm and up. Now, take a last width measurement with a grain of salt—it's a straight across measurement at the forefoot of the shell, without regard for the height or general shape of the boot and without regard for a liner—so inherently brands and models can feel a little different even if they share the same last width number. Last width numbers are a way to define a general fit neighborhood, but realize it's possible to find a medium that fits just like another brand's narrow and another's wide. If this fact bothers you, you'd better get yourself to the bathroom and wash your hands again or go straighten your sock drawer—last width numbers were practically designed to drive O.C.D. skiers totally crazy. It's a rough guide to fit and that's all—get over it and go try on some boots. Understanding Flex Index: Stiff men's boot, medium-stiff men's boot, medium men's boot, medium-soft men's boot, soft men's boot… sounds sort of stupid, huh? How about 130, 120, 110, 100, 90 as a way of describing the same thing? That's all it is—higher number, stiffer boot, lower number, softer boot. Men's boots fall into the range above and women's start a little softer (usually 110 down to 80). Sure, true race boots might be stiffer still and junior boots softer. It's a decent system, it helps get people in the ballpark flex-wise, and then they need some additional background to fine-tune their decision about how stiff or soft a boot they need. First, don't get totally hung up on how stiff or soft a boot feels at room temperature—they're all going to feel a bit softer than they will in the cold (and some more than others), but by the same token at room temperature you should not be able to fold over a boot like a Converse high top (that's too soft), nor should you be physically unable to move the upper boot relative the lower boot at room temp (that's way too stiff). Realize that stiffness is not just how a boot feels against the shin during flexing movements (though that's a very large part of your selection process—it should feel good to you against the shin), it's also a gauge of the boot's lateral and torsional stiffness. 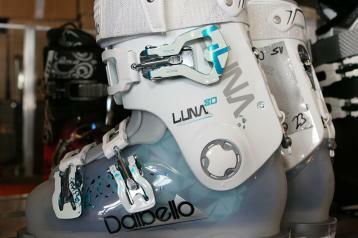 The stiffer the boot is laterally and torsionally, the better it transmits movements to the ski and the better it holds a ski on edge on hard snow and at high speeds. Sounds good, right? It is, if those movements are good, aggressive, experty ones. 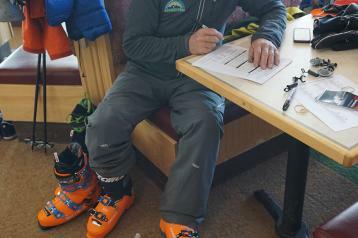 If the movements are poor, then poor messages are received by the boot and ski (aka, you sucking), and similarly terrain and snow will send messages back up the chain—stiff boots talk back, and softer ones muffle the message (so they're more forgiving of skiing imperfection, in both directions). 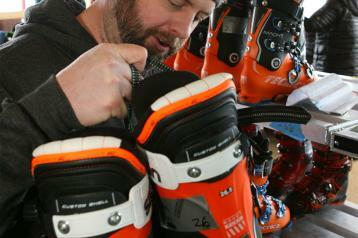 So, as with many things ski boot related, it's ultimately an educated guess. You go for it and see how it works out—it ain't heart surgery, so give it a shot. Keep in mind that it's always easier for a skilled bootfitter to soften a too-stiff boot. You can stiffen the forward flex of a too-soft boot, but that modification doesn't improve the lateral or torsional character of the boot.